This classic solid racerback tank top bodysuit leotard is great for layering and can serve as your favorite casual top with denim shorts or pants or skirt and even with leggings for your daily workout routine at gym or yoga or dance or even as sleepwear. It is fitted yet comfortable due to soft and stretchy cotton spandex blended fabric used. 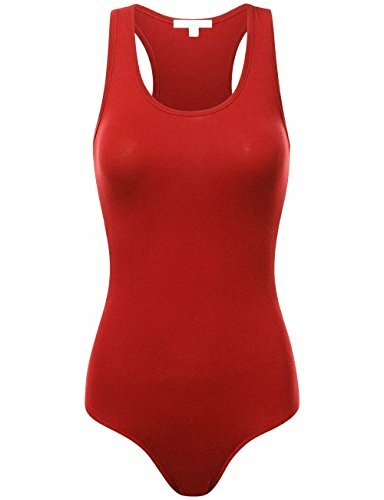 Enjoy this comfortable tank top bodysuit leotard.